Being fifty-something, I’ve got thirty-something years of driving experience under my pedal foot. Yet, I haven’t mastered the parallel park. 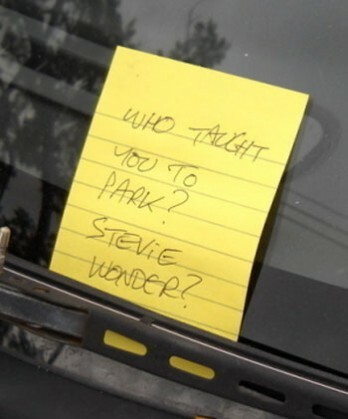 Actually I did have parallel parking down pat at one time – when I first took my driver licence test. I’ve rarely put my parallel parking skills to the test since. I like to say that I CAN parallel park … I simply CHOOSE not to. The truth is, that I’m not sure I can. It’s been a while. Somewhere along the way I “unlearned” the principle. I’ve got lazy. Intimidated. That’s what happens when you choose to share your life with a professional driver. More so when that professional driver has credits on TV commercials as “precision driver”. Yes, Mr P has driving (in all its forms, including precision, long-distance, mega truck and more) down to a fine art. And who am I to stand in the way of a man and his craft? Mr P considers it sport to sit in observation at notoriously difficult parallel parking spots, watching other poor punters attempt to park in tiny spaces, between trees or poles or at extra busy traffic spots. 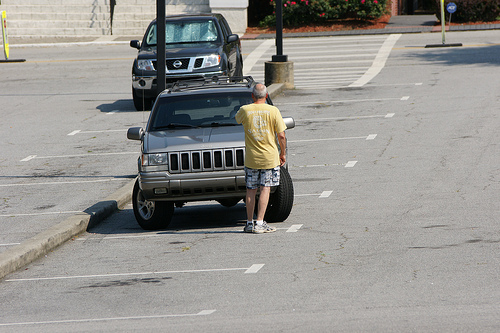 Just one more reason why I avoid the parallel park … especially in public, high-traffic zones. Mr P has always taken care of the parking in our relationship. I have always avoided it. When I’m driving, I happily do blockies, around and around, until I locate the perfect drive-in parking space at the end of a row of parks. I have a friend who shares my parallel parking aversion. We’ve been known to drive around and around for hours together, chatting away in-vehicle while we seek out the ideal park closest to that café where we’re headed for a coffee and … a chat. We’ve even been known to head home sans coffee (but well-chatted) when a navigable park hasn’t presented itself (I use the verb presented, because a drive-in park is, afterall, a gift to those of us without spatial awareness). My friend and I long ago got over the urge for one of us to get out and guide the other into the park … that has uncontrollable laughter and eventually tears written all over it. Knowing your limits is a valuable virtue. Mr P on the other hand can manoeuvre the vehicle (any vehicle) into the tightest spot, using just his mirrors for guidance. I never have to jump out and wave him through or show him by hands’ width how far between him and the next vehicle. He’d never ask me to do it. He’d never trust me to do it. I do have those reversing alert beeper things on my car … but they just make me nervous. Talk about upping the pressure, going faster, faster (maybe even louder?) the closer your bumper gets to another bumper or an al fresco café diner or a street sign. They freak me out completely. 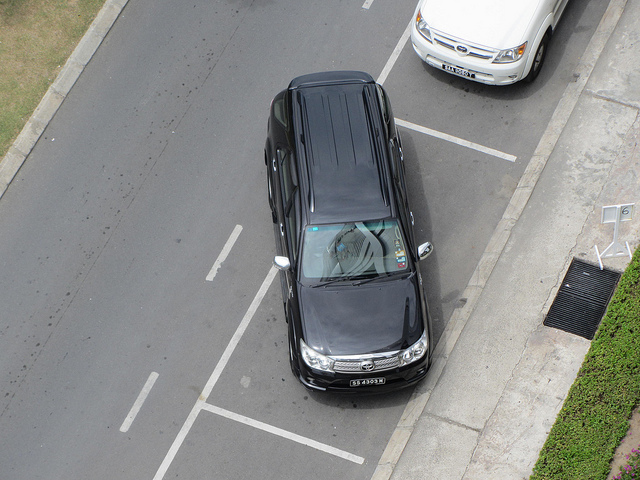 I’ve always maintained that parking (and, indeed, driving) is a natural talent – you’re either born to it, or you’re not. Clearly, I was not. Still, I’m prepared, at this late juncture in my driving career (and before the men in grey coats come and confiscate my driver licence) to give parallel parking another shot, to test the nature/nurture theory on spatial awareness, parking proficiency, steering manipulation. 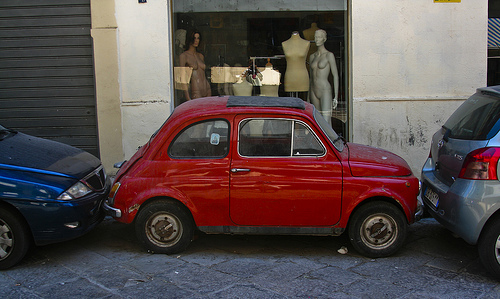 Yes, I’ve decided to re-learn parallel parking. And who better to teach me than (poor, long-suffering) Mr P.
I’m adding “mastering the parallel park” to my Bucket List. I hear you. Old dog. New tricks. Let’s just see if our marriage survives. I will keep you posted (from the driver’s seat). My daughter always visualizes the best parking spot before she arrives at her destination–and she usually is “presented” with it. Try that next time. What amuses me (after 42 years of marriage) is when Mr B is driving and looking for a car park space. I spot one conveniently close to where we want to go and indicate it, but HE sails right past and chooses one a good distance away. I think in all our years of marriage he has only ever parked in the spot I’ve indicated twice. Both times I need smelling salts. Haha, Sandra. I, too, would require smelling salts if Mr p ever took my advice about anything remotely related to parking. 😦 S.